Over the last few posts, we've discussed a spate of specific holiday destinations for you and your family. This time out, we're pulling back a bit and offering something that should prove useful for all your future trips. It's the ACE-FX packing checklist and it's here to save the day. As you probably know all too well, it can be quite difficult to know in advance exactly what to bring on this or that trip. We’ve all experienced the sinking feeling that accompanies the realization that we’ve left an important item at home. And we’ve all felt the frustration of having to repurchase something we forgot to pack. And in the hopes of helping you sidestep all this unpleasantness, we've compiled the following list. 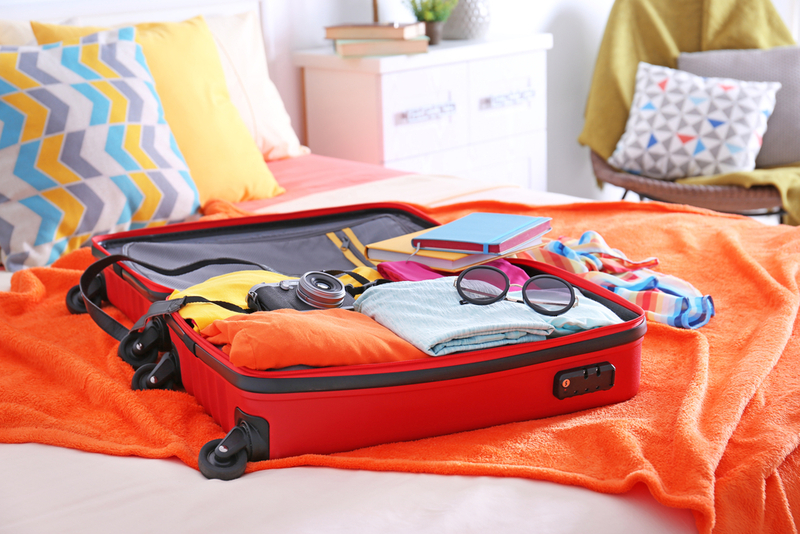 Using it while planning for your next trip could save you time, money, and all the frustration of inadequate packing. Packing is an art form and a labor of love. For some, it can become an obsession. A good packing job requires talent, skill, and relentless efficiency. And most of all, it requires discipline. Packing discipline is a strange thing. You either have it or you don't and there is no in between. It's probably handed down genetically, from generations of effective packers. Fortunately, it can be an acquired trait as well, and that's what this checklist is for. Before we get to the specific items you'll need to bring on your trip, let's start by going over some absolutely ironclad general guidelines. By following these indispensable rules, you won't end up throwing your things into a trash bag all willy-nilly. Or so we hope. Airlines charge outrageous fees for extra baggage these days, so restrict yourself to a carry-on if possible. Airlines charge these outrageous fees according to weight, so invest in a lightweight suitcase if you don't have one. Keep this axiom in mind: if you pack it, you'll have to lug it around for two weeks as well. Austerity is key. you money, space, and a dislocated shoulder. Do not pack any hardback books. Repeat: do not pack any hardback books. Anticipate. Always anticipate. Consider your needs in advance and fulfill them. To anticipate properly, do your research. Know what is and isn't available at your destination and plan accordingly. Buy adequate travel insurance. This will come up again later, so please mark it well. Don't pack anything you can buy cheaply at your destination. Leave your huge bottle of conditioner at home. Download any travel apps you might need to your smartphone or tablet before you get to your destination. If you regularly take prescription drugs, make sure you have an adequate supply. If not, secure your refill at home. Read the weather forecast and pack clothing that matches it. Roll your clothing into tight bundles whenever possible. Never fold unless it's absolutely necessary. This really is the question, perhaps the only one. Here's a handy list of what to pack and what to leave at home. For our purposes, we'll assume that you're spending 10 or so days in a beach community. We'll start out with clothing. Keep in mind that efficiency insists that you plan for a Spartan existence, hopefully in your swimsuit. A sweatshirt, sweater, or something else warm for cool evenings. 2 pairs of shoes. One pair should be open-toed, the other close-toed. Do not bring toiletries. Purchase small quantities of them at your destination and leave them there when you return. Bring your passport and any other important documentation, including your travel insurance policy. A small amount of make-up. Razors and a small container of shaving cream. Extra chargers for your smartphone or tablet. Antacids, motion sickness medication, and sunscreen. Hairbrush, comb, and other hair accessories. And most important of all, be sure to pack your ACE-FX prepaid travel card in euros, dollars, or other currency. Lastly, never bring foreign transaction fees along on your trip. The previous rule will prevent that automatically.